When you’re looking for the best time tracking software for your employees, it’s easy to feel overwhelmed. After all, each option has different features, benefits, and pricing plans. Until you get started, how do you know which one you want? Look no further. In this post, you’ll find the pros and cons of the top five time tracking desktop apps in 2019. Hubstaff is lightweight, easy-to-use time tracking software for desktop and mobile. It offers optional screenshots, alerts for idle time, weekly hours limits, invoicing, payroll, and more. One of the great benefits is that Hubstaff still works when your team members are offline: It stores the data and screenshots locally until their Internet connection is reestablished. Hubstaff offers application and URL tracking, and location monitoring via GPS, which some of the other apps on the market, including Toggl and Worksnaps, do not. The first feature tells you which sites and apps your freelancers or team members are using, while the second allows you to monitor field team driving and on-location time. Not only do these features help you get a better understanding of how employees are spending their time, they’re also not invasive. Unlike keylogging or random webcam pictures, which can make workers feel like their privacy is being threatened, they’ll feel comfortable knowing exactly what info Hubstaff is recording. Hubstaff has a clean, intuitive interface, meaning you and your users will understand it easily and actually want to use it. In addition, there are tons of ways you can personalize Hubstaff for your needs. The app gives the option of adjusting screenshot frequency (3X, 2X, 1X, or completely off). It also has a budget/hour limit so you can control how much time freelancers log per week. There’s even a “screenshot blur” feature — you can choose to blur out screenshots for PCI/HIPAA compliance or privacy concerns. For each team member, you can choose whether you’d like to see their activity levels (calculated by keyboard and mouse activity — not keystrokes) or simply how much time they’ve worked in total. And one of Hubstaff’s biggest pros? The number of third-party apps with which it integrates. Use the GitHub integration to track how long your developers spend working on each bug. Or use the Paypal, QuickBooks, or Payoneer integrations to automatically pay your workers. There are almost 30 integrations, so you’ll be able to set up the ideal configuration for your organization. Hubstaff is designed for individuals and businesses that want to streamline operations and run more productively. If you’re only looking for basic time tracking with no other functionality, Hubstaff might not be the right fit. However, at a competitive monthly fee, it might just be the perfect software for you. Hubstaff plans start at $5/month per user. The premium plan, which offers a full suite of time-saving features, starts at $10/month per user. There’s also an annual rate that gives you two months free. This option is specifically targeted toward those who manage remote freelancers and contractors. During each snap, the software will randomly take a screenshot. You can use this screenshot to verify the freelancer is on-task. In addition, Worksnaps records keyboard activity by the minute, along with tracking which applications the freelancer has open. Worksnaps offers a lot of customization. In addition to screenshots, you can also enable webcam images — which could be helpful when you’re working with a new remote contractor. The reports are highly flexible as well; you can choose to view individual, cross-project, live, historical, or task-based data, depending on your preferences. Worksnaps is also relatively affordable. Every time the app takes a screenshot, your freelancer is notified. He can choose to approve or reject the screenshot—if he rejects it, you’ll never see it. Freelancers can also turn on “privacy mode,” which means you can’t see their logged screenshots and activity. While these features give your workers a greater sense of control, they also mean that you can’t be 100% certain that what you’re seeing is accurate. The Worksnaps starter plan begins at $20/month for up to four users. Plans go up to $90/month for 30 users. If an employee ends up taking a five-minute Facebook break in the middle of work, it’s easy to adjust their billable time accordingly. Toggl gives users the ability to retroactively edit entries. Further, the app is available on desktop and mobile, and syncs in real time. If an employee moves out of range, Toggl will continue tracking time and update once connected to WiFi again. Like Hubstaff, Toggl is really easy for employees to use. Not only is logging time nearly effortless, but you can add an unlimited number of projects, color-code dashboards, and create detailed reports. In addition, Toggl Business allows you to set goals for your team. Let’s say you’re paying your web designer for 35 hours of work this week; if Thursday comes around and he’s only tracked 20, the app will send him a friendly reminder with an update of hours left. The software and pricing model are set up for relatively static teams. However, you might be hiring many different freelancers for short-term or even single jobs. 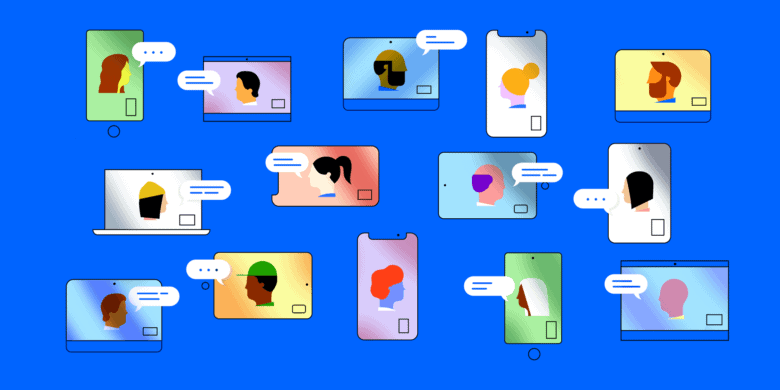 Since Toggl Business costs $59 for each member of your team if you pay by the month, and $49 per member if you pay by the year, it’s definitely not cost-efficient to use it with those types of team members. In addition, you can’t verify your workers’ time logs. Toggl does allow you to set a filter for “suspicious” entries — for example, you could automatically label every entry that’s longer than five hours as suspicious. WorkTime Corporate is specifically designed as an accountability tool, meaning that its sole purpose is to dissuade employees from wasting time on social networks, long breaks, and distractions. It captures logon and logoff times, inactivity and activity periods, the names of the documents and applications employees are browsing, and which websites they’re on. However, it doesn’t record screenshots, keystrokes, or any visual content. WorkTime has some pretty big-name clients, including Toyota, Disney, Ericsson, and Staples. It can be used for companies with small teams, or huge ones (up to 15,000 employees). It also offers managers more than 60 comprehensive, customizable reports. You can see which employees are the most and least productive when Internet usage is peaking, which projects are consuming the most energy and time, and so on. Since WorkTime tracks every single thing your employees do (from simple website tracking to advanced social media usage analytics), they may feel as though their privacy is being violated. Plus, if you employ contractors, the results may not be that helpful. Let’s say your report indicates your freelance designer used Adobe Illustrator for three hours. This person could’ve been working on your project, or she could’ve been doing something for a different client. Finally, the software is extremely clunky to use: the interface is cluttered and visually unappealing. WorkTime has a more complex pricing structure, offering updates, premium support and developer tools at a la carte pricing. 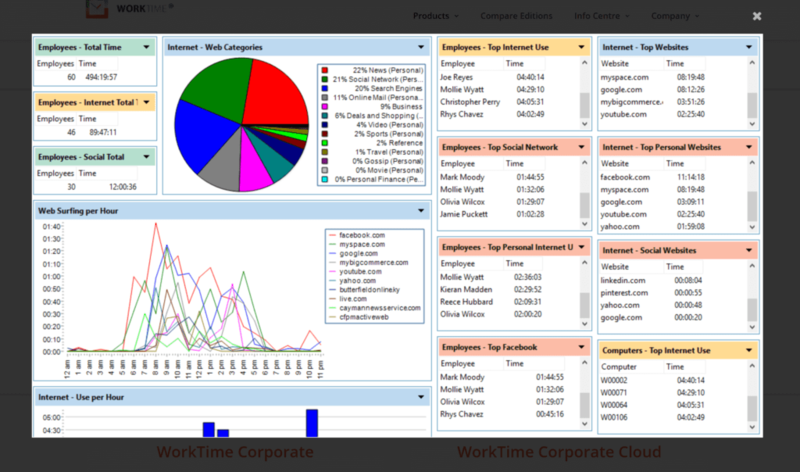 WorkTime Corporate starts at $59.99 per user for the year. You can add regular monthly maintenance for $499 per year. Time Doctor essentially combines the functionalities of Toggl and Work Time. It tracks application and Internet usage for all of your freelancers, and it also has the capability to take screenshots every couple of minutes. You can also pay your employees through Time Doctor. Choose a method (PayPal, Transferwise, or Payoneer), select whether you’re paying an hourly or fixed rate, and then the platform will handle the rest. Time Doctor has many features geared at making employees more productive. When the software notices a user is spending excessive amounts of time on Facebook, Youtube, etc., it’ll give that user a friendly nudge. In addition, if Time Doctor takes a screenshot, and a team member chooses to delete the screenshot, the associated time will be deducted from work hours. The screenshot feature can be turned on and off for each team member. Time Doctor is a great tool for time tracking, but using its interface really feels like traveling into the past. While this may not seem like a huge deal, it’s actually pretty important. First, if you’re using a time-tracking app to show your progress to clients, you want the reports to look professional. Second, getting your employees to embrace reporting software is more difficult when the software isn’t pleasant to use. Time Doctor is $9.99/month per user. What do you think is the best time tracker of 2019? Now that you’ve seen the pros and cons for each option, it’s time to try them out. Thankfully, most offer a full-featured free trial. After you choose an application, take a look at How to Convince Your Employees to Track Their Time. This post was originally published February 20, 2016, and updated January 2019.